This delightful and effective game helps children to gather, categorize and distinguish items based on specific traits and characteristics. 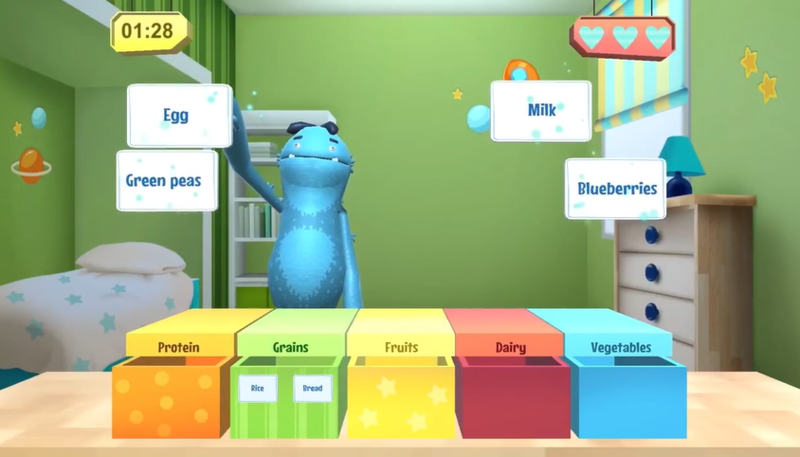 Throughout the game, kids are encouraged to find objects that are either the same or similar according to the object’s size, color, and/or shape. Mary Learns motivates children to develop their logical and inductive thinking skills by allowing them to actively practice on how to arrange and classify objects based on their features. As a result, kids have the ability to understand the relationship between the different category groups. Additionally, this engaging game includes cognitive activities that allows students to progress in their vocabulary. Kids can learn to familiarize the displayed objects with the defined vocabulary words it represents. They can choose the items that correspond to the vocabulary that describes each featured category presented. For example, some categories they will see are titled as: “Clothing”, “Nutrition”, “Veggies”, and “Dairy”.